I was really there listening to Whitaker live, but the screen in front of me afforded a better shot. I attended -- for the first time -- Indiana Youth Institute's annual conference this week, and attended numerous workshops and presentations. There were around 1800 people present at the Indiana Convention Center, people whose job it is to serve youth, especially "at risk" youth. I didn't find very much that's directly confluent with my own efforts: connecting youth to the reality of climate change and solutions in dealing with it. In fact, the subject of climate change seemed to be completely absent from the gathering. The mission of IYI is to serve the organizations and people whose work is impacting the health and well-being of kids, and the conference did its job that way. I just believe that ALL kids are ALL "at risk" because of our unraveling climate. Perhaps what's missing here is data. IYI is so strong when it comes to data and stats. In fact, their newest version of the Kids Count Data Book is out, and I would suggest you download a copy to learn more about the challenges -- and small successes -- facing youth. Where's the data on youth and attitudes toward climate change? How many of youth reporting depression are depressed because they don't see any future for themselves -- other than battling extreme weather events. I'm open to answers to those questions and am actively seeking input from fellow journalists, educators and scientists. 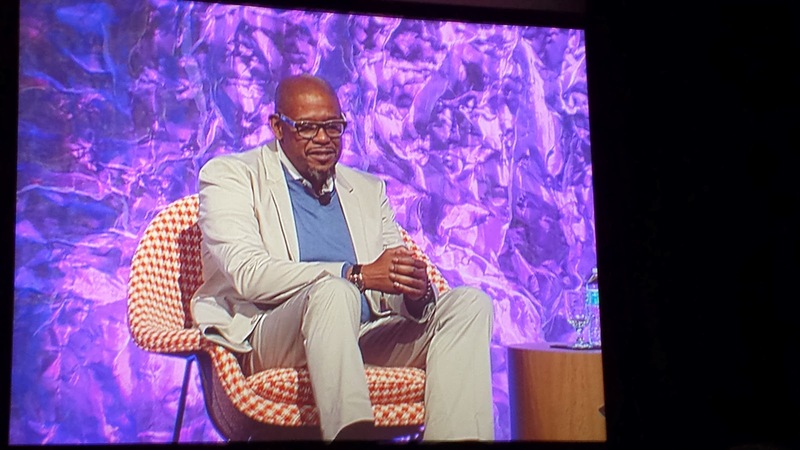 But you see my blog title, and so I am here to say that Forest Whitaker was as great a speaker as you imagine. He is a profoundly thoughtful person. When asked a question, he would pause and think before responding. Some comments that had particular resonance for me included his remark that "My intentions guide my choices." This is a simple but significant remark, something inspiring to us all. Of course, the trick is figuring out your intention! But once you do, choices can flow out of that intention. Case in point: me. When I realized my intention was to engage in climate change education and youth empowerment, the subsequent difficult choices were made. Whitaker also said he was motivated to become an actor because he "wanted to expand his understanding of humanity." I thought that was brilliant. What better profession than acting to explore the myriad aspects of human psychology. Sometimes, big wigs invited to conferences are there only to draw in an audience. In the case of Whitaker, he was an inspiration to the assembled, who give everything to the youth they serve.